Sustainable Development envisages that people should not merely participate, but be in charge of their own development. As part of an experiential learning mechanism for the course of ‘Concepts of Sustainability’ under the under the guidance of Dr Rahul Hiremath, the students of SCMHRD from the Infrastructure Management batch, were able to apply their course knowledge directly by visiting Ralegan Siddhi village, which is a result of remarkable work by Mr. Annasaheb Hazare. 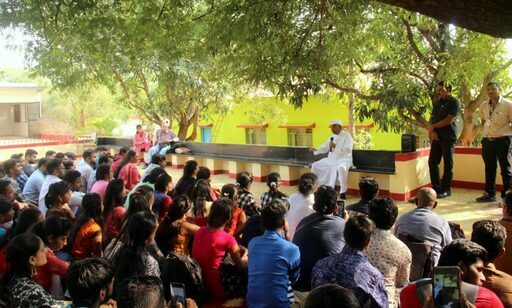 Throughout the visit, the students were enlightened about the notable journey of Mr. Hazare, who not only transformed the village through his demonstration, but also empowered the villagers to lead the development. Ralegan Siddhi is in a drought-prone and rain-shadowed area of Maharashtra. In 1975, this was a place of poverty and hopelessness. The abuse of their natural resources coupled with water runoff and soil degradation meant that this village of about 2,500 people, mostly farmers, was un-farmable. Wells ran dry which made it difficult for people to find drinking water during part of the year. As a result of which people started leaving Ralegan Siddhi in search for work and a livelihood elsewhere, an understandable choice considering the situation they were facing. But, just as it seemed that there was no hope for Ralegan Siddhi, a bright light emerged. That bright light was a man named Shri Baburao Hazare popularly known as ‘Anna’. After his retirement when he returned to Ralegan Siddhi in 1975 he was saddened by what it had become. It was an extremely degraded village with large scale migration, ill health, low productivity and a flourishing business in the illegal distilling of alcohol, resulting into violence, especially against women. Anna decided to find a solution and began interacting with the community, spreading his ideas, and getting people involved in water conservation and harvesting. He knew that the only way that the village could be revived was with the participation of the entire community, especially the youth. Anna started a youth society and village assembly to spread ideas and organize the village. It is from these stages that he spoke out against, and eventually eliminated, one of the larger problems holding the community back: alcohol. He was able to identify water development as the primary need of the village, and that helped to mobilize popular opinion in his favour. His intervention to manage rain-water run off through watershed development was cheap, local, and maximized their use of local resources, especially labour. He went on to include community work to prevent erosion and to promote widespread afforestation. The holistic impact of these measures began to be felt within a decade. Now, the total productivity has increased manifold. There is a sense of community and sharing among all the people, and complete self-sufficiency in food grains. 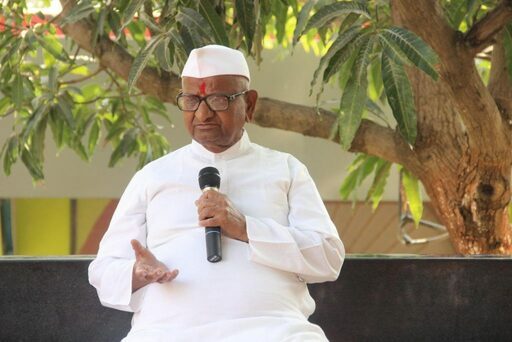 Mr. Anna Hazare developed a six-point program that includes: ban on open grazing; ban on tree felling; ban on dowry; ban on consumption of liquor; family planning; and donation of labour. Post a walkthrough of the village’s high school, administrative block, community hall, dam, temple & museum, the students accompanied by the faculty members also got the opportunity to engage with Anna, where he addressed issues pertaining to rural sustainable development and its importance for nation’s overall economy. Prepared by students of IM 2017-19 batch. Ralegan Siddhi is famous due to Anna Hazare. I am impressed to read about his work towards the development of this village. Every village in India can be like Ralegan Siddhi if the villagers take Anna’s inspiration.